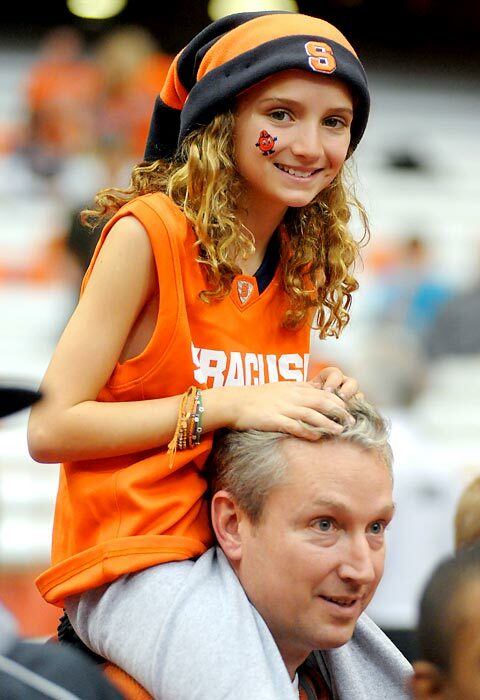 In a divorce agreement, a Syracuse basketball fan (like the one pictured above) wants custody of his kids for the day of the NCAA title game… if SU is playing. As a child of divorce and a Syracuse University alumnus, I couldn’t help but share this story about a truly die-hard SU basketball fan. An Illinois man, identified only as Michael by Yahoo! Sports’ The Dagger, has made an unusual (and awesome, if you’re a sports fan) request in his child custody agreement. After divorcing, his ex-wife requested custody of their son and daughter for several Jewish holidays, Thanksgiving and Labor Day. That’s right, the father is demanding custody of his children for the NCAA Championship game if Syracuse is playing for the men’s college basketball title. A screenshot of the agreement can be seen at Cuse Country. And even though he now lives 700 miles from Central New York, Michael says he continues to teach his children to root for Syracuse. He even dressed them in SU sports gear and watches Syracuse football and basketball games with them. According to The Dagger, Michael never attended Syracuse University but grew up in Syracuse rooting for the Orange when they were still called the Orangemen. In grade school, he and his family gathered to watch former SU basketball stars like Derrick Coleman, Sherman Douglas, Billy Owens and Rony Seikaly. Of course, the only time Syracuse won the Big Dance was against Kansas in 2003 under head coach Jim Boeheim, with current NBA all-star (and Team USA Olympic player!) Carmelo Anthony. However, Huffington Post notes that SU’s strong performance this past season and already high predictions for the 2012-13 season, Michael just might get to see his kids on the day of the next NCAA title game. 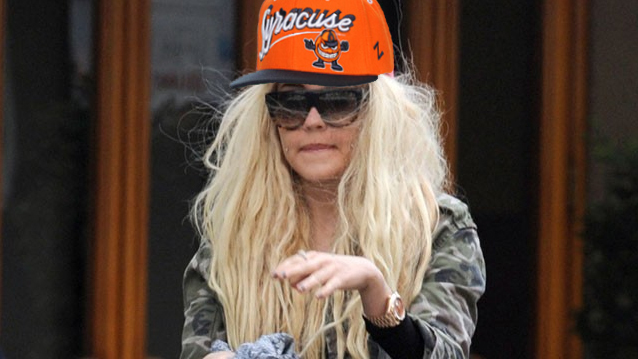 As a fellow fan who bleeds Orange, I always hope Syracuse’s sports teams win big so I’m rooting for Michael’s request. I was a freshman at the school when Hakim Warrick blocked the shot in the final seconds of the 2003 championship, so I got spoiled early. As someone whose own parents are divorced, I don’t see anything wrong with the agreement — unless it’s a nasty jab at his ex-wife for being a fan of one of SU’s rivals, like Georgetown, UConn or whoever will be next in the ACC… which would just makes it more awesome. Go SU! Mary Jo Zawalski was also known as "Bird Girl" when she was a student at Syracuse University. To say the famous Bird Girl of Syracuse University is a creative person would be an understatement. 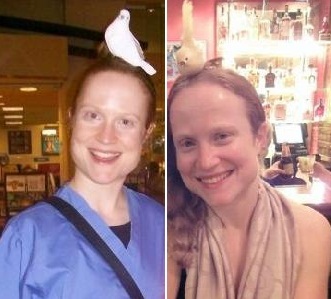 Mary Jo Zawalski — or, as she was better known during her undergraduate studies in ceramics at SU from 2002 to 2006, “Bird Girl” — was well known across the campus for her quirky appearance, especially for clipping odd objects to the top of her head. Usually it was a plastic bird, but she was also spotted with other fake animals and even a plastic waffle once. “All the birds I wear on my head are paper trained. Unfortunately, the alligator is not,” Zawalski told student newspaper the Daily Orange in 2005. “I want to be visually interesting, instead of beautiful,” the Texas native told the DO in 2003. She explained that she started wearing birds in her hair (and plastic sandwiches, hamburger buns, etc.) as a way to express her pun-filled sense of humor and to gauge new friends. Obviously, if you don’t get the bun-in-her-hair joke or what she means when she’s “flipping the bird,” then she probably doesn’t want to hang out with you. And a little Google research finds that Zawalski has been doing pretty awesome since she graduated from Syracuse. She got a masters’ degree in Clinical Art Therapy from Long Island University in 2009, speaks Spanish, some Hindi, and works on the Therapeutic Activities staff at an acute psychiatric hospital outside New York City. And I assume she still wears the birds in her hair — at least that’s what’s she wearing in her default picture on Facebook still. Oh, Bird Girl. Don’t ever change. Bruno Mars vs. Lady Antebellum: How did a pop artist get a bigger crowd than country at the NYS Fair? 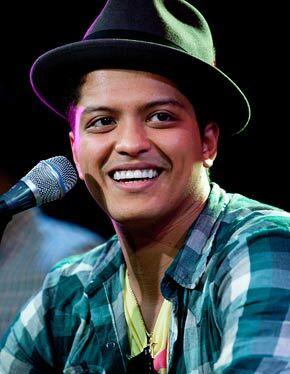 Bruno Mars drew a record 35,000 fans to New York State Fair's Chevy Court on Wednesday, August 31, 2011. On September 1, 2010, rising country act Lady Antebellum drew a record crowd of 30,000 at the New York State Fair‘s Chevy Court. Almost exactly a year later on August 31, 2011, pop/R&B singer Bruno Mars broke the record with an estimated 35,000 watching him perform on the same stage. How?? And why doesn’t anyone believe a pop act could get a bigger crowd than a country artist at the NYS Fair? Let me give you some background information, for those not familiar. The New York State Fair is one of the largest state fairs in the U.S., drawing about 1.1 million people over the 12-day event in Syracuse. The concerts held at the fair are always a hot topic and a crowd magnet (besides the fried food, wine, animals, rides, games and people-watching) and traditionally country artists like Rascal Flatts have pulled in the biggest audiences. There are two main concert stages at the NYS Fair. The Mohegan Sun Grandstand tends to host the big-name artists and requires paid admission (tickets ranged from $35 to $65 this year though prices were reduced for two underselling concerts to $15), seating 17,000 people. The Chevrolet Court stage (also known as Chevy Court and formerly known as Muffler Court) has two different acts daily, free with admission to the fair, and has seating for 5,000 people — but many more can stand in the aisles and pack the surrounding area. The Grandstand used to have entertainment on all 12 nights of the fair but officials changed that to 7 concerts recently and put more emphasis on getting bigger acts at Chevy Court. When Lady Antebellum played at Chevy Court last year, they were on their fourth consecutive #1 country song and chart-smasher “Need You Now” had just recently crossed over to pop and adult contemporary radio. So it surprised absolutely no one when Hilary Scott, Dave Haywood and Charles Kelley drew 30,000 fans and set a record for crowd attendance. Bruno Mars, on the other hand, has six top 5 songs on the Billboard Hot 100 all within the past 15 months, including “Grenade,” “Just The Way You Are” and his appearances on B.o.B.’s “Nothin’ On You” and Travie McCoy’s “Billionaire.” He’s sold more than 15 million singles, wowed everyone at the Grammys this year with his lively doo-wop rock performance, and made headlines again this week with his soulful tribute to Amy Winehouse, performing “Valerie” at the MTV Video Music Awards (even though it’s actually a Zutons song that Amy covered on a Mark Ronson record). It shouldn’t surprise anyone that he drew 35,000 fans but it did. Why? Here’s the rub. When Lady A was on the Chevy Court stage last year, two things limited their crowd from being bigger than it was — one, Justin Bieber was performing a sold-out show on the Grandstand stage at the same time that night; and two, anticipation for the record crowd at the fair that day may have drove some people to avoid the mob and stay home altogether. No one was on the Grandstand stage when Bruno Mars performed Wednesday, so he had no competition for an audience. Also, media didn’t fuel as much hype so very few people expected a crowd so large that some might want to avoid. Plus, country fans (like any genre-specific group of fans) tend to think their music is bigger than it is. Yes, country music is hugely popular and has a lot of loyal fans, but pop music is more popular because that’s the very nature of the genre — it’s for the mainstream masses. And for further perspective, Lady Antebellum played at the New York State Fair Grandstand again this year, drawing only 9,800 people. Four other Grandstand concerts this year pulled in bigger crowds — Train/Maroon 5, Journey/Foreigner, Selena Gomez and Sugarland/Sara Bareilles — three of which had pop acts on the bill. Just saying. Take it from me, Keith Ward Trio’s music rocks – want a free copy of the Syracuse grad’s new album? 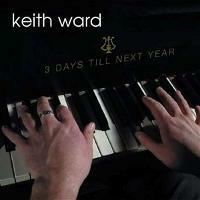 Keith Ward's first album, '3 Days Till Next Year,' was recorded at Syracuse University in 2005. I’ve been a fan of Keith Ward‘s music ever since he and I were in the same class in Syracuse University’s music industry program six, seven years ago. While I was more interested in the marketing, production and management side of the business (I can’t sing or play an instrument besides the turntables), he was more interested in simply making the music. And he does it well. If you’ve ever been a fan of the gentler side of Ben Folds’ piano rock or wanted to hear a slightly jazzier version of Matt Nathanson, then his adult pop-rock sound is right up your alley. His 2005 debut, 3 Days Till Next Year, was recorded at Syracuse University and includes my personal favorite track “#1.” It was downloaded more than 70,000 times when iTunes featured it as the Free Download of The Week. After graduating from SU, he recorded his second album Take Your Time and took it to prestigious venues such as New York City’s Bowery Ballroom and Sullivan Hall as well as The Troubadour in London. On Tuesday, the singer-songwriter released his third opus, Take It From Me, with bassist Mike Chiavaro and drummer Jared Schonig backing him up as the Keith Ward Trio. Co-produced by Ward and Justin King at King’s Vinegar Hill Sound in Brooklyn, NY, you can get the album on iTunes and Spotify Worldwide or preview it at keithwardmusic.com. First Run Records is holding a “Tell your friends giveaway!” The first 50 people who click the Facebook ‘like’ button at the bottom of keithwardmusic.com will get a free copy of the new album. Just email firstrunrecords@gmail.com afterwards to tell them where you would like your copy sent to. Please support Keith by checking out his music. He’s a Central New York native and a graduate of Fayetteville-Manlius High School and Syracuse University. Also, not only is it important to support independent music (especially the artists making GOOD music!) but he’s always been an awesome, humble guy with a great sense of humor and a friendly smile for everyone. Happy listening! 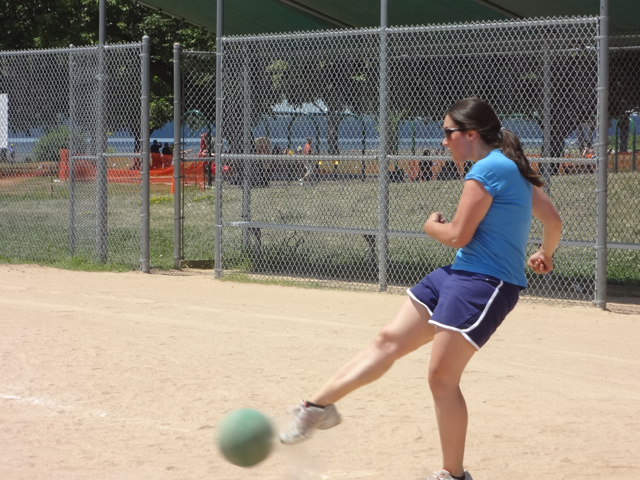 Photos from Syracuse Kickball #Tweetup2011! On Saturday, July 16, 2011, Frank (@dagsly) and I (@deafgeoff) hosted a kickball tweetup at Onondaga Lake Park to celebrate the fifth anniversary of Twitter going public. Frank was the captain for “Team @Ev” and I was the captain for “Team @Biz,” and what ensued was an afternoon of nerdy fun, pseudo-athleticism, and delicious refreshments with new and old friends! Most people brought refreshments, and we also enjoyed having cheerleaders in Sunny (she took most of the photos), Katie and “Little Man.” All in all, it was a great time. » See more Kickball #Tweetup2011 photos on Facebook!